Keep giving your pupils regular praise, even if the work is revision and the tasks completed are part of the regular routine. 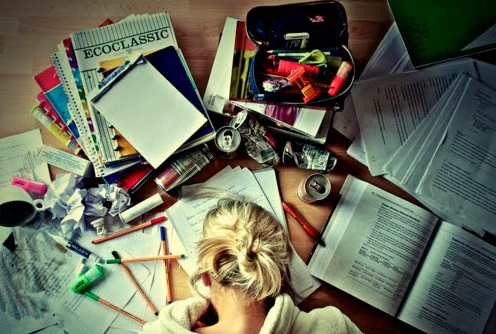 It is vital that students feel confident and recognise that you value the amount of time and effort put into revision. Small treats or a 5/10 minute video break at the end of a lesson (Try Pixar short films) are a great way to reward your class for their efforts and spur them on! No we're not talking about the naughty step or standing in the corner of the classroom. We're talking about good breaks. New information can sometimes seem daunting, some students are fantastic at cramming everything in, but others struggle. Class revision should be broken up to give everyone the chance to digest & feel relaxed learning it. If each pupil has the chance to educate themselves at their own pace, it's far more likely to stick and STAY in their heads. Take account of your pupils’ various learning styles and plan your lessons accordingly. Revision exercises at the end of units obviously need to cover all that you've taught over the year but there are various ways that this can be done. Mind maps, posters & thought showers can be created (with plenty of colourful pens, hurrah!) for visual learning & role play, group work and physical tasks are a fantastic way of getting everyone involved. All hail the internet. It offers a wide range of knowledge for all that your students wish to know. Using ipads, laptops and even phones to make things extra interesting can persuade your class to take their revision home with them. Exam Countdown,Exam Buddy, EverNote & iMindMap are just a few of the many successful and helpful apps for all tablets. If you wish to keep these kind of electronic devices to a minimum in your classroom, encourage your students to create websites & power-point presentations that cover the topics they have studied. Every parent wants their child to succeed. 99% of the time this is something to be proud of but it's that 1% around this time of year that can send them into a flurry of panic. Keep them feeling that their children are working as hard as they can to reach their potential so the workload at home doesn't become daunting. One of the most important aspects of this term is to make revision fun. Games & quizzes still offer the opportunity to educate without children switching off or feeling unmotivated. Students are nervous enough as it is. Try to make the session fun and light-hearted. If they panic in the session, it won’t bode well for the exam! Sit everyone down and inform them of the schedule, ask the class what topics they are most worried about and create a chart/calendar dedicating time to these specific subjects as well as everything else that obviously needs to be covered. This way as you complete the tasks, they can be ticked off and your students know that they are making progress. They can plan questions they wish to ask before you teach specific lessons & they know they must manage their time efficiently to cover all the material needed. Implement strategies to minimise stress & inform everyone that breaks should be taken when revising. Eating & sleeping well will also help their concentration & remind each and every student to approach their exams positively – focus on what you understand, what you have prepared, what you can do. Avoid doing too many test papers before the exam as not only does it push more stress on your students, but the test papers can be seen as a chore. Little tests at regular intervals are more helpful in the run-up to exams, even if it's just a quick quiz or question/answer shout out during lesson time. Try to keep exam talk positive and to a minimum, no one (never mind a child) likes talking about tests and the last thing you need is the children getting bored, resulting in a lack of interest. Finally, even if you do follow all these steps and more, it is likely that some students won't achieve what they expected. Do not blame yourself (or let the students/parents blame you). You did your job and the truth is some students really struggle with exam situations, no matter how much preparation is offered to them. Stay positive and offer support to all whenever needed, you've done everything you can. High fives for getting through this stressful season, if it wasn't for you so many of us wouldn't be where we are today, if that doesn't deserve a toast then I don't know what does.